According to studies colors play a huge part in our emotions. Color seems to influence perceptions that are not apparent. In this episode, we share on understanding the effects colors have globally and why it may affect buying power. Rachel : Hello and welcome back to the Marketing Whisper Podcast. This is your host, Rachel Calderon. Kathryn : And I’m your cohost Kathryn Calderon. Rachel : And today we wanted to talk about the meaning of colors around the world. So I had taken a branding class because I’m always trying to make sure that I’m always up to par with my branding. So I always try to go to other branding classes and kind of learn from them and pull from those classes. So one thing I loved, it was a saying that one of the ladies had, is she says here colors can sway thinking change actions and cause reactions. And I thought that that was such a nice saying and her name is Lisa Rigas. She said that. So Kathryn, I want to kind of turn the show over to you today. I’ll probably be asking you a few questions, but I wanted to turn over the show to you because I know that this is something that you are super passionate about and you love. So can you explain to us colors around the world? Today is your day and your show. Kathryn : Colors play a very big aspect in the design of your businesses brand, especially if you eventually plan to go global. You have to remember that color is what brings people back to a place or time in their life. So the problem is many businesses don’t do enough research when it comes to colors. They just think this is pretty, let’s slap this on here and call it a day. Pink’s my favorite color. I want pink in my brand. And when you don’t put in enough research that can affect your business usually pretty badly. Maybe there’s an off chance that you get lucky. But usually it could be bad, especially if we’re talking globally, because colors around the world mean different things. So if you ever plan to go or if you’re thinking of going on a global scale and this makes you nervous, fear no more. I’m here to help and I’m going to tell you what some colors mean around the world. The rest you’ll have to go online and do your own research because for plenty of brands that I’ve done and projects that I’ve done, I’ve had to do this. And that’s where I learned all about this because I did tons of research and I searched all over to truly understand what colors mean and what effect they would have on my brand. Okay. So I’m going to explain about four different colors just to give a big range of differences so that you guys can understand. So we’re going to start with blue. I think everyone uses blue a lot and that’s because Blue is one of the safest colors worldwide. Culturally and religiously. So in western cultures that would be America, the Americas and stuff, blue tends to represent, the blues, depression, but also trust and calmness in Far Eastern cultures. It represents healing and relaxation. In Judaism it represents holiness and divinity in Islam protection. And it’ in a lot of mosque architecture that you . And Hinduism, their highest God he’s got a lot of blue on him which embodies love and joy. So I mean, Christianity, heaven, water, holy service in Middle Eastern culture, safety, spirituality and mortality so as you can see across the board culturally and religiously, blue is a very safe color. It gives a very calming and safe protective feel. That’s why you see a lot of corporations use it. Let’s talk about a color that represents a vast majority of things for many different people across the globe, and that would be red. So in western culture it can represent excitement, danger, love, passion, action, and trust me, there was tons more. Far Eastern cultures, prosperity, good fortune, vitality, and it’s worn by brides a lot. Middle Eastern culture. It could represent danger, caution, evil, Judaism, blood sane, joy, happiness. Christianity is the blood temptation, war, sacrifice and repentance, Buddhism, achievement, wisdom, fortune, indignity, Hinduism, beauty, power, and wealth. So as you can see in all those different cultures and all those different religions, it represents different things. It’s not that you stay away from these different colors like don’t use red if you want to go global at all. It’s you have to know your market, you have to know what you’re trying to represent like you see if you’re going to market in the Middle East, red there represents danger, caution, and evil. Now is that something then you clearly would want your whole brand to represent and then not even that you have to think about it in this way. So in Middle Eastern culture it says danger, caution and evil is what that represents. So, but for your brand, your whole thing is we want to represent safety and positivity and joy so that going to sell in the Middle East, clearly not looked at what the color red represents for them. So you have to basically think about, it’s not, don’t use red at all, but what is the purpose? What are you trying to say? What is your brand trying to get the audience or your target market to perceive about you and your brand. Rachel : So basically you’re saying, you’re that it really can affect the buying decisions if someone based on a color. So you’re saying not that you can’t use red, but like if red was a predominant color in your brand, that might deter someone from the Middle East not necessarily deter them, but it would totally be misconstrued in what you’re trying to sell. If you’re trying to sell like peace, love and joy. it sure as heck is not going to declare that to them. They’re like no. So that might turn away that large percentage. Okay. Kathryn : Yeah. Like it’s. So you just have to, be smart. And like I said, know your target market, do more research. Don’t just take these representations at face value. Do you know what I mean? Like do more research and see like, okay, I do want to have red in my brand. Let’s delve deeper into the different places that I’m thinking of selling this and see how maybe those places perceive red. If red is actually okay, then go for it. It’s just do your research, do your research, do your research. Rachel : Yeah. And it has been said that color matters so much that 52 percent of shoppers did not return due to overall aesthetics. So, I mean, I think that this is fabulous information. Continue. I’d love to hear a few more colors. Kathryn : So let’s go to another safe color will go with green. Actually blue, purple and green in my research that we’re kind of the safest across the board. Okay. But we’ll go to green. So Green in western cultures can represent spring money, jealousy, greed, environmental awareness, Far East cultures, eternity, eternity, family and peace, Middle Eastern cultures, new beginnings, youth health and fertility, Judaism, life growth and vegetation, Christianity, growth, restoration and fruitfulness. Buddha, wisdom, youthfulness, vitality, and what they call Karma. Islam, perfect faith life, nature of paradise, Hinduism, hope, harvest and virtue. Do you see how just like beautiful green is like in everything you heard there was life, there was eternity, new beginnings, youthfulness. So Green is. And that’s why you see green a lot with companies that are about vegetation or new beginnings. Rachel : Let me ask you something. I know that, , they say that advertisement, , it’s, it’s better to use like color than to use like black and white. Why can you tell me what black and white stands for because it seems people don’t seem to view black and white ads the same as colorful ads. Why would that be? 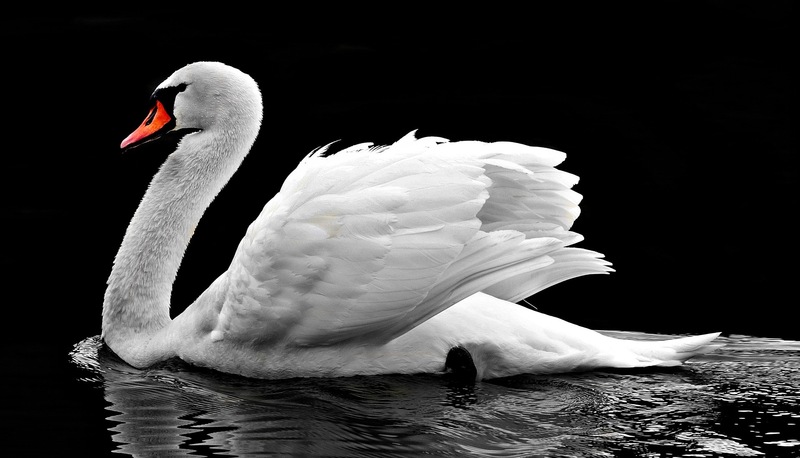 What does like black and white stand for in your study? Kathryn : I’ll go into that in a minute. Well, the reason first of all that you black and white, it’s not that people don’t use it. It’s just like everything else. There has to be a reason why are you using black and why are you using white? Black and white tends to be more so it’s because everyone has to do like a black and white version of their logo just in case where something is being printed. If that doesn’t have color, does your logo look good in black and white? If it doesn’t look good in black and white, it ain’t going to look good in color. Rachel : Or if you have, if you have a different background, if you put it on the tee shirt, because I know a client of ours asked for a black color version of their logo, so that it could put it so that everyone’s logo was the same color and it was on a light blue shirt. They had it, but that was for like an organization that they were sponsoring. So I understand that, but like in general, what is that disparity between the black and the white that they say? That kind of tends to deter people? Kathryn : I mean not that it deters people. It’s just black and white are their very stark colors. Black is super complex for some places it means great things other places it’s associated with terrible things. Rachel : So it’s like total, like almost polar opposites is what they are. It is what it is, right? Is what you’re saying? Kathryn : No what I’m saying, black can represent both good and bad. Black is just one of those colors that it works in designs though because of how stark and crisp it can appear , but you need to know who you are targeting before you go slapping it on a design. So for Western cultures it’s funerals, death, Halloween with the color, orange, rebellion, intimidation far east cultures, it can be bad luck on happiness, evil knowledge, morning health, prosperity, stability, Middle East, morning rebirth and mystery and in Indian culture, evil, darkness and negativity. So you see it, all depends on what you’re trying to represent, like hot topic, their logo is , black and dark. But their stores all rock and roll, emo. So black works for that company. Hot topic you wouldn’t put like this bright, beautiful bubble pink logo, Barbie Doll Pink to represent Rock’n’Roll. That just wouldn’t work. So you just have to know your target. Rachel : No, but they also select on their target market which is they’re interested more like I guess that younger generation or that generation that, that is interested in that rock and roll emo style. Right. That kind of thing. I’m talking about the type of customer that would be attracted to that you have to Kind of, like that rock and roll or that like you said, that that emo style, like they have to like that type of thing in order for them to go into that store. So they specify their color mainly not to be a globalized market. Yeah, but more so they have a specific niche that they hit a target niche. Okay. Kathryn : And with white, white is kind of like black as it’s a beautiful colored use to balance out a design than rather fully be consumed by the color. So it’s very rare that you’ll see like an all white logo. Very rare because usually paper is white. And across the board, white it just represents weddings can be peace, purity. In some places it represents funerals in, intellectual, purity, innocence, liberation, purity mourning and unhappiness. So white and black, it’s not that you can’t use them, you just have to know how to use them. They’re just very stark and rich colors, both of them. And they help enhance the design. But you don’t usually see them being the full design you don’t usually see an all black logo and all white logo unless you’re doing a white, a black version of your logo. You just need to, like I said before, you just really need to know how to use the colors. Do your research, know what your brand is supposed to stand for. 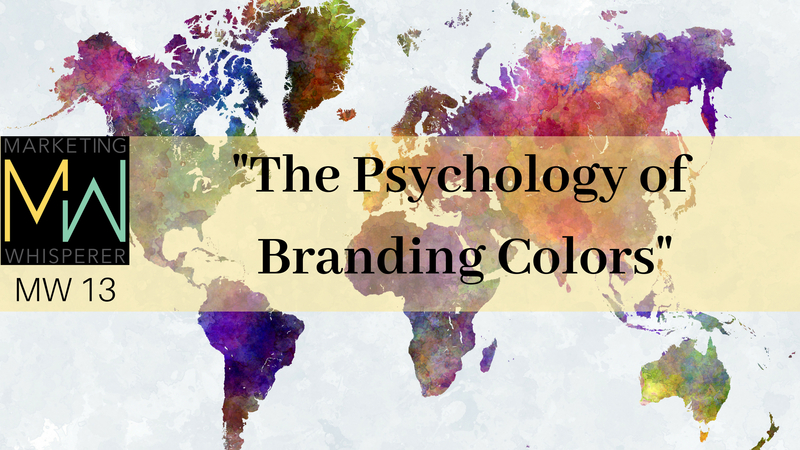 Know who you’re targeting and know what your colors are going to be representing and if those colors represent what your brand is trying to say. If they don’t go back to the drawing board. Rachel : Right? Which is worst case scenario. But by doing your research, this is why I tell our audience, always do your due diligence before you do any kind of spending a lot of money or even time and energy. Sometimes. This is just the starting point, kind of figuring out what is it that you want your brand to represent or even your marketing collateral. You Know what I’m saying? Your marketing material, how do you want to display that to how do you want to display your message? Everything, your whole messaging, everything. You want it to be concise. You want it to like you said, if you want it to be global, certainly pick colors that are helpful to your brand that , you can probably broaden, your clients or your target market I should say. So yeah, I think this is great. Kathryn I just want to thank you for giving us that look like the definition of what these colors mean and how important it is to our brand. Did you have any closing words for this? Kathryn : Yeah like I said, tons of time is do your research and make sure you understand the cross cultural meaning of colors around the globe. Rachel : Perfect. All right guys. We want to thank you again for another day of the Marketing Whisperer Podcasts and we will see you next week or sorry you will hear from us next Tuesday. Thank you and have a wonderful week.